1. 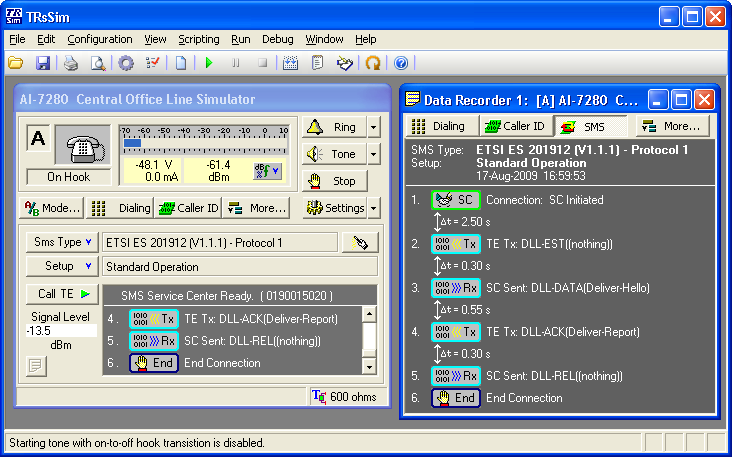 Example of DTMF and pulse dialing capture. 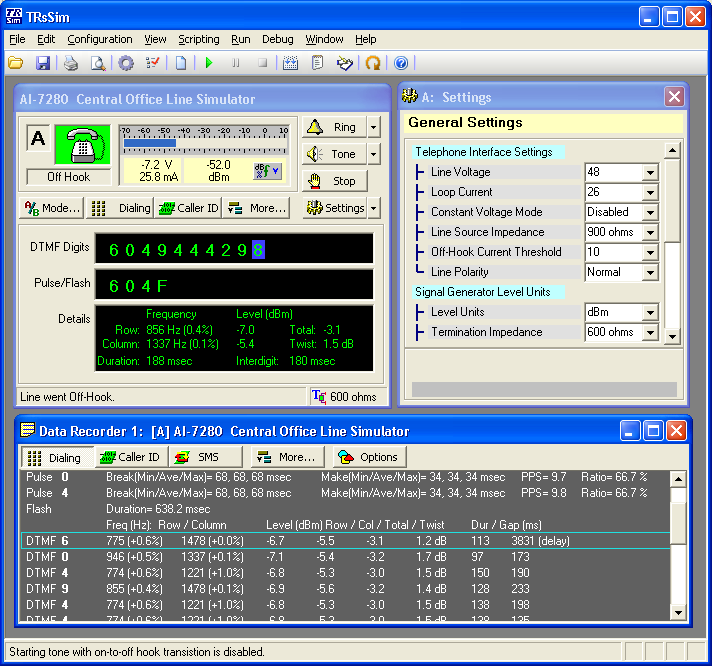 The AI-7280 detects and reports each dialing digit along with various measurements for both pulse dialing timing and DTMF frequency, level, and timing. 2. 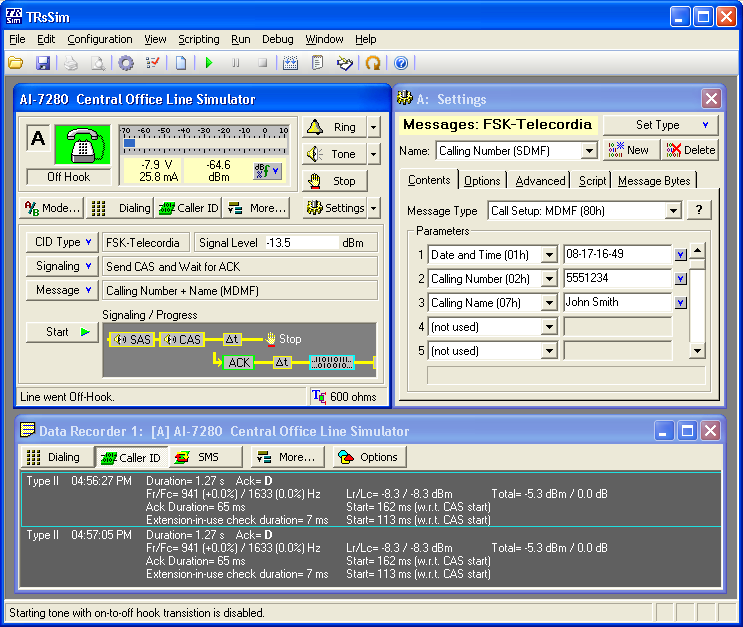 Transmission of a type II (off-hook) Caller ID message. The contents of the sending FSK message is fully programmable along with various physical layer parameters. Detailed measurements for the acknowledge tone are logged and displayed. 3. Sending a SMS to a terminal equipment device using ETSI Protocol 1. Each FSK message sent and received in the session is logged and its contents can be displayed. 4. 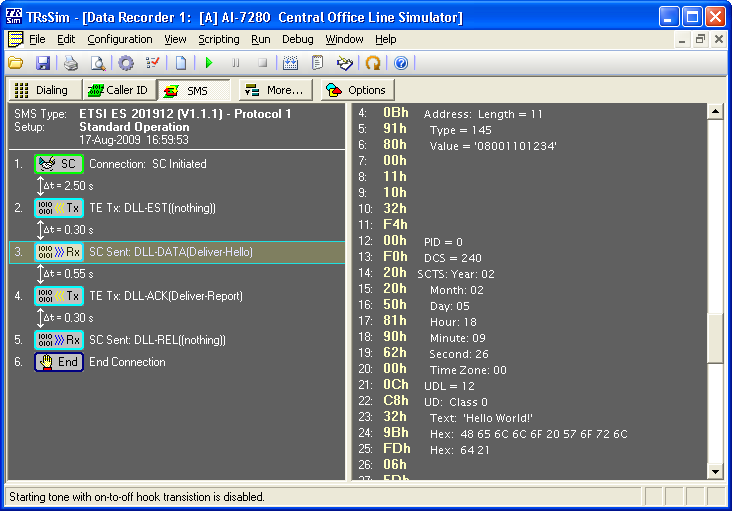 Example of SMS sequence of events when sending a message along with listing each byte of the FSK DLL-DATA message. 5. 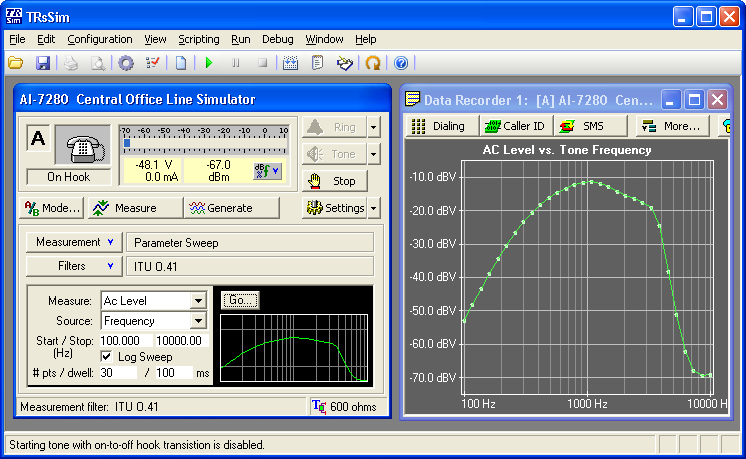 AC frequency sweep from 100 to 10 000 Hz with an optional ITU O.41 filter engaged. The source and measurement points are programmable from either the AI-7280's line interface or rear panel BNC connectors.